Redcar is a seaside resort town in the Tees Valley in North Yorkshire 7.5 miles (12.1 km) east-north-east of Middlesbrough by the North Sea coast. The premises are located on Queen Street with a return onto West Dyke Road which is the main thoroughfare for Redcar town centre. Occupiers in the vicinity are made up of a mixture of local independent and national operators including NatWest Bank, William Hill Bookmakers and The Clarendon Hotel. 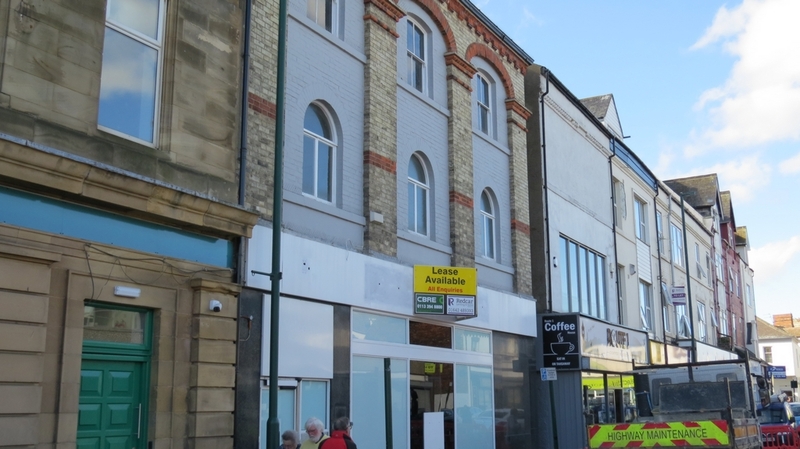 The property comprises a 3 storey; brick built retail unit, arranged over Ground, First and Second Floors. The property is currently held by way of a lease expiring 8th June 2023. The current passing rent is £42,738 per annum subject to annual RPI linked reviews. We are verbally informed by the Local Rating Authority that the Rateable Value of the shop is £28,000 pa and the rates payable are £13,916. The UBR for 2016/2017 is 49.7p. Interested parties are advised to make their own enquiries with the Local Authority for verification.